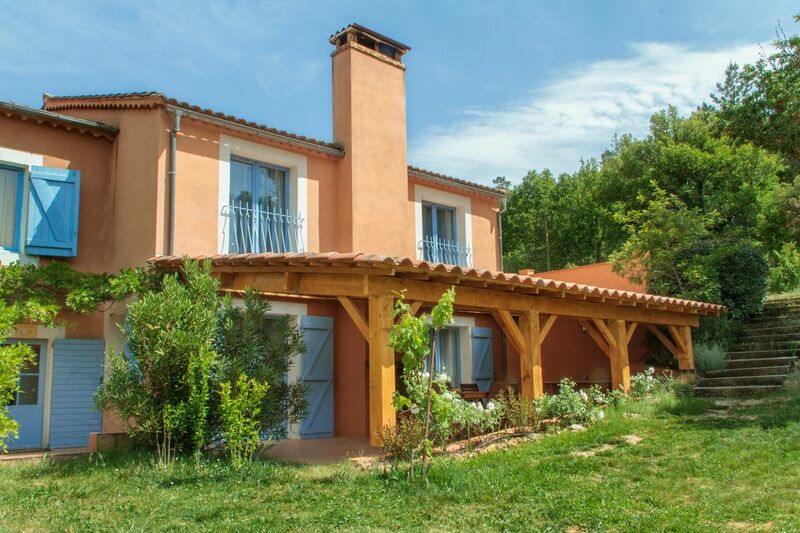 Gite 4 **** 6 to 9 people, quiet, with pool and jacuzzi, in Provence. Many of you? We have the solution for you with our lodging Rosemary. 110 m² composed of a large living - dining room, a kitchenette, 3 bedrooms for 2 people and a sofa bed (in lounge) this cottage suits you surely. A large bathroom with tub and shower and a bathroom with shower and 2 wc complete the equipment of this space furnished with refinement and taste. A large private terrace with a fireplace - Outdoor barbecue will allow you to enjoy the fresh air Provençal. A personalized welcome awaits you. Cleaning is done at the end of our stay by us. Smoking allowed but non-smoking cottages. Conventional Holiday vouchers! Our cottage is now a 4 **** Stars! activities: Climbing the Vallon Sourn 5 minutes. municipal tennis to 800 meters. Wine tours. Walks through the trees 10 km away. Trail rides from the area on request. Private forest. Golf course 15 km. convenience store on site - Consumer Staples - Welcome Kit offered. very highly recommended car. Le descriptif m'avait séduit : le gîte Romarin, le site (piscine, forêt), l'environnement (la Provence verte) etc..
La réalité le rejoint en tout point. Rajoutez y le professionnalisme de Philippe. Attentif mais zen. Et voilà : 5 jours dont toute la famille (adultes et ados) se souviendront avec bonheur. Bonjour Jean-Marc, merci de vos compliments, ils récompensent les efforts fait depuis toutes ces années pour améliorer constamment notre Domaine et nos gites. Vous serez toujours les bienvenus chez nous, j'ai aussi apprécié la gentillesse et la bonne éducation de vos enfants et invités. The visit of the Cannet des Maures, Aix en Provence or the Gorges du Verdon nearby pleasantly enliven your holiday. Climbing in the Vallon Sourn 5 minutes from your house, canoeing, walks in the trees, horse riding, sporty ride in our private forests also allow you to keep fit during your stay with us. Visit the Gorges du Verdon to 1 hour drive. massages at home in your cottage.